Metro on whether it could use bond money for restoration. Did Metro flip-flop on whether it could use bond money for restoration? By Janie Har on Saturday, May 4th, 2013 at 3:00 a.m. The voters of Washington, Multnomah and Clackamas counties will decide May 21, 2013, whether to approve a 5-year operating levy for Metro, the regional government that oversees growth and also runs the Oregon Zoo. Measure 26-152 would raise approximately $10 million a year from an increase in property taxes, half of which would go toward restoration of natural areas. Metro officials say the measure is necessary because general obligation bond measures approved by voters in 1995 and in 2006 allowed the government to purchase land, but didn’t provide money to restore and maintain the new land. "Twice in two decades, Metro voters approved measures to acquire thousands of acres of natural areas throughout the tri-county region," reads the Voters’ Pamphlet summary of this spring’s Measure 26-152. "Past measures could not include money for maintenance and restoration." 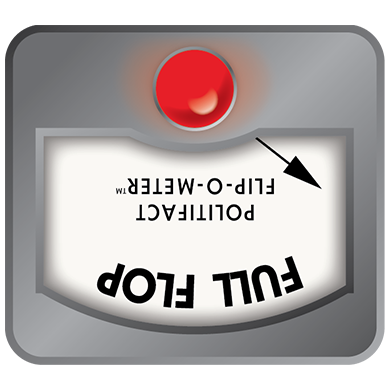 Which got PolitiFact Oregon thinking. We remembered how the 2006 measure was pitched to voters. The language of Measure 26-80, also in the Voters’ Pamphlet, was clear: "This measure directs Metro to buy and restore natural areas for the protection of water quality and preservation of fish and wildlife habitat ..."
Metro officials wrote both statements in the Voters’ Pamphlet. Voters overwhelmingly approved the $227 million bond measure in 2006, probably thinking that the money would go toward both purchase and actual restoration, because that’s what supporters said they’d do. Did Metro use the promise of restoration to sell the 2006 measure? Why is it now saying that the 2006 money couldn’t be used for restoration? Has Metro flip-flopped on what the 2006 bond could and could not do? We shot off an email to Metro spokesman Jim Middaugh and started digging. For people who don’t follow the scintillating world of public finance, just know that government can sell general obligation bonds -- and take on debt -- to pay for capital projects and improvements. Governments do it all the time. Governments do not, however, tend to incur long-term debt for operational expenses, such as routine maintenance or payroll. That’s poor fiscal policy, and that is the distinction Metro is making with the different measures. So the first question for us is: Can money from bonds be used for restoration, despite what Metro now says? This description of general obligation debt -- found on the state Treasury website -- indicates that the answer is yes. "Under ORS 287A.050 - 287A.145 general obligation debt can be incurred for capital construction and improvements having an expected useful life of more than one year. This does not include maintenance and repair (the need for which could be reasonably anticipated), supplies, and equipment that are not intrinsic to a structure." PolitiFact Oregon can see how restoration of purchased property could count as an improvement lasting for more than year. And certainly, Metro officials saw it that way because they sold it that way. Still, Metro draws a distinction between restoration spending then and restoration spending now. Middaugh said that despite the state description, the agency has its own guidelines on how to spend bonded money. For example, Metro used bonded money for the initial "stabilization" part of restoration, defined as "one-time activities performed during the first two to five years after" land purchase. Mowing grass, killing weeds and removing trash is OK so long as the activities take place during this phase -- but afterward, those actions are considered maintenance. Why wasn’t this distinction called out in public materials? The description was too wonky, he said, so they went with the more conversational "restoration" and "protection." Half of the money from this operating levy would go toward operations and education, and the other half to continued restoration of natural areas. Out of curiosity, we asked if Metro had planned all along to come back to voters for more money. The answer was yes, and the proof is on page 9 of the resolution authorizing the 2006 measure, stating that Metro would only have enough money to manage new lands for a limited time. All we can say to these disclosures is that we wish Metro had been utterly transparent and upfront -- both about long-term funding plans and definitions -- with voters from the beginning. PolitiFact Oregon loves nature and we love good governance. We don’t want public bodies borrowing money recklessly, and we trust our elected officials to make that distinction. But here we have a government that sold an earlier measure as a way to buy and restore natural areas and that now says officials couldn’t use that money for restoration. Yet there is no legal prohibition on using bond proceeds for restoration. In fact, Metro has spent nearly $5 million to do so, even if staffers call it something else. The bottom line is that both statements come from the Voters' Pamphlet and both were written by Metro officials. And both statements can’t be right. Metro wants more money to further nurture its new natural areas. Metro wants money for boat ramps and better playgrounds that should improve use of visitor areas. We don’t fault the wishes. But we do fault Metro for saying one thing, then another, about whether restoration was part of the plan in 2006 and why more money is needed in 2013. This is a reversal of position by Oregon’s tri-county regional government. We rule this a Full Flop. Published: Saturday, May 4th, 2013 at 3:00 a.m.
Multnomah County Elections, "November 7, 2006 - Measure No. 26-80"
Multnomah County Elections, "May 21, 2013 - Measure 26-152"
Metro, "Metro and your property taxes"
Metro, "Parks and natural areas levy: Measure 26-152"
Oregon Treasury, "General Obligation Bonds"
Oregon Revised Statutes 287A.050 - "Local Government Borrowing"
Oregon Revised Statutes 310.140 - "Property Tax Rates and Amounts; Tax Limitations; Tax Reduction Programs"